This delicate savory tart vegetable is prepared with simple ingredients that you can always say sian in the house. The origin of this recipe is related to when in the first half of the nineteenth century the cholera epidemics did not want to venture outdoors often; And with what was in the house we could see that we always had something tasty. Certainly among the home stocks were always cheese, potatoes, apples, onions, butter and flour. The original recipe includes a very simple brisé dough. This version is enriched by the use of pasta and spices; and I like it so much! Cover with parchment paper a 10x30 / 35 cm baking pan. Spread the puff pastry, Trim off the bottom of the pan and the lid; cut into strips for decoration leftovers. Then line the pan with the bottom taking care that the edges of the pastry sian protruding from the pan and keep everything cool. thin slice the onions and fry in butter; just wilted add thin slices of apple and mix briefly continuing cooking. Salt and pepper (I love even add a sprinkling of cinnamon and nutmeg). 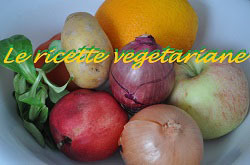 Mix onions and apples with sliced ​​potatoes, place half in the pan, cover with slices of cheese from raclette and then with the rest of the filling. Fold the edges on the filling and brush them with egg (longing for a bit of milk ...). Attach the cover, any ribbons of dough to decorate, brush with the rest of the egg and prick to encourage steam to escape during cooking. Allow to rest at least half an hour in the cool. Cook in the preheated oven at 190 / 200 ° (hot air, only lower heat about 35 '/ 40'. Let stand out of the oven a few minutes and serve hot. as a main course it is enough for four people; lukewarm, as an appetizer, even for eight / ten people (just make small slices!). Being a dish of the Wallis, a Fendent Vallisano fits well.